In October, my husband and I purchased our first home. I carefully moved the perennial plants from my garden boxes at the rental we previously lived in and brought them to their new home. They pretty much all survived and are doing fairly well considering the move. I also accumulated plants from other family members. 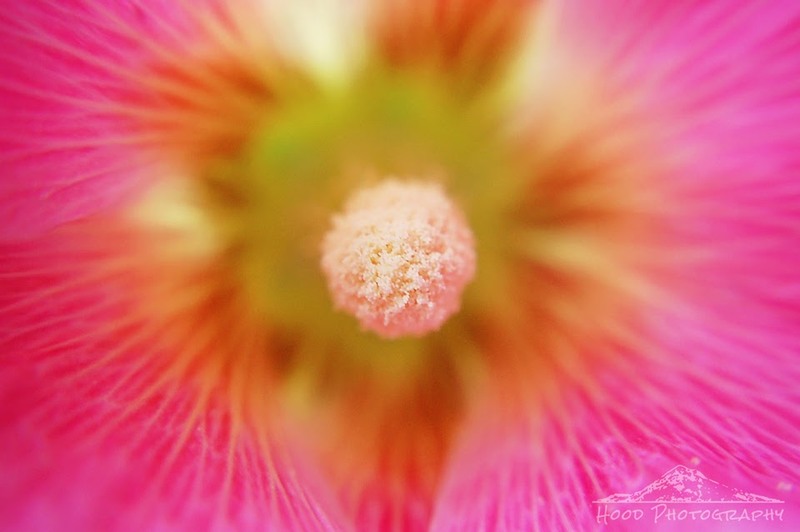 My mom gave me this gorgeous bright pink hollyhock, which is in its prime bloom right now. Follow Hood Photography on Facebook and Instagram! Thanks! Love this photo. Stopping by from Friday Photo Journal. Have a great weekend! Love the color and the editing.